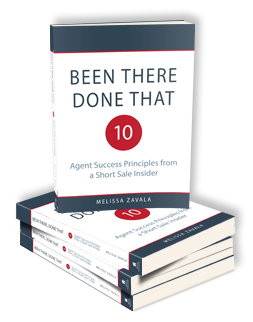 Thank you for purchasing Been There, Done That: Ten Agent Success Principles from a Short Sale Insider. As promised in that material, I have created this resource page to assist you in your short sale and real estate journey. In order to access the exclusive resources, enter your email address below. You will immediately receive an email with your private access to tons of valuable links and information that is going to support the material you are reading in my book. I have also included a surprise gift for you – a free training series to really make your real estate adventure pop. To claim your free gift, just enter your email address below. 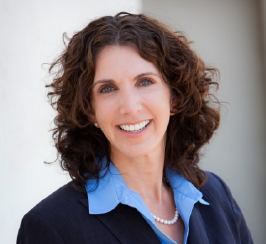 Get ready to take your short sale success to the next level! I’m Melissa Zavala. But you already knew that, right? This is my one-stop shop for all things real estate—articles, videos, and conversations on the big ideas impacting the field of real estate, transforming our businesses, changing our lives and the lives of our clients. You can read more about me here. Watch Your Real Estate Career Skyrocket! The Essential Daily Planner for Real Estate Agents is an easy-to-use daily organizer with a unique format that includes six months worth of space for you to record your daily activities and achievements.